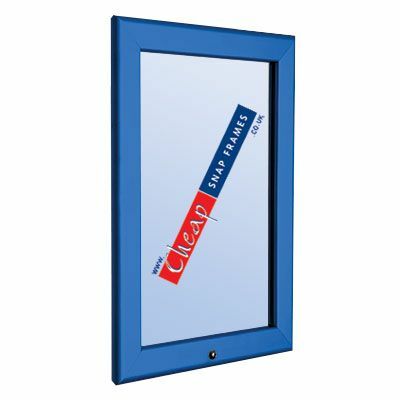 Deep blue snap frame with a 32mm wide frame in RAL 5002. 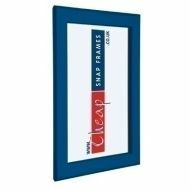 These stylish blue poster frames both look great and offer fabulous functionality. 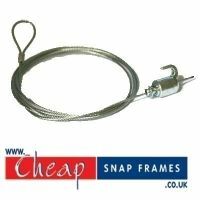 They are fixed to your wall with concealed fixings then to change the posters you just open the edges of the frame from the front - a super design and very easy to use. Our deep ultramarine blue frames are available in both standard and bespoke sizes at cheap prices and speedy UK delivery including to London.